Like fat, protein sometimes has bad reputation. But, the macronutrient is essential for health. Indeed, as these posts show, protein can offer considerable health benefits and many people don't consume enough of it. Protein on Keto – How Much Is Too Much? Keto is often considered a moderate protein diet. That’s accurate but also simplistic. In this updated post, I highlight the significance of protein and how you can work out the best amount for your Keto lifestyle. Hemp Protein vs Whey Protein – Which Should You Choose? There are many opinions about hemp and whey protein. So, is one really better than the other? Or are they just relevant in different situations? In this list, we examine the best vegan protein bars currently on the market. That includes looking at their protein, fiber and sugar content, along with the ingredients that they contain. 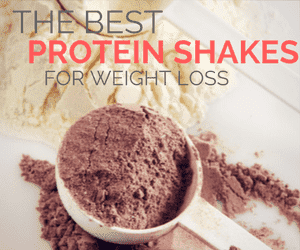 Whey Protein vs Pea Protein – Which Should You Use? Pea protein and whey protein both have their advantages. But, which one should you be using regularly. This post compares the two types and when they’re the most useful.